Our Books, CD's, and FREE Yearly Calendar support the development of your unconscious capacity to awaken—to recognize, manage, and live peacefully with change, uncertainty, opposites (duality) and the perplexing nature of paradox at the root of human suffering. Ragini is one of the 12 contributing authors in this compilation of how coaching can target and deliver breakthroughs, results, transformations, and freedom. Each chapter gives coaching specifically for female entrepreneurs to overcome obstacles, meet and solve business challenges, and allow your personal growth to enhance your business growth. Ragini’s chapter – The Three R’s For Female Entrepreneurs – focuses on how to manage a specific dilemma unique to women, and how that dilemma deeply influences their decision making when trying to create work/life balance. Simple, profound, and humorous musings are paired with lovely color photographs comprising these 48 insightful contemplations. This little book offers an inspiring way to restore our emotional balance, often chaotically wobbling amidst the seemingly constant turbulence of our fast paced digital age. Sure to satisfy those yearning for a sip of Divine beauty, or a taste of the sweet courage and faith that rests within us all. A lovely companion to Ragini’s earlier book The Wildly Quiet Presence Of God. We all want to be happy. But, sometimes life gets in the way. People lose jobs. Spouses are unfaithful. Kids are hostile. Friends die. Houses burn down. It is a jungle out there. 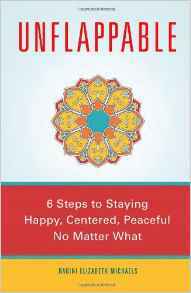 Unflappable is a book that helps readers not only survive, but embrace these ups and downs of life, and learn to stay centered and peaceful regardless of the circumstances. Drawing on the wisdom of the mystics and her NLP (neuro linguistic programming) training Michaels offers a six-step process for happiness and serenity regardless of how crazy life gets. A beautiful compilation of 40 musings offering glimpses into the insightful revelations that accompany a torrid love affair with the Divine. In the lineage of Rumi and Hafiz, these poems arrive like whispers from the Divine Heart to yours. Each poem is paired with a lovely color photograph offering some support, laughter, and inspiration for anyone exploring the challenges of conscious living in daily life. For any spiritual seeker who has, even once, fallen into the belief they are not doing their journey right, doing it too slow, or are just not capable of ever reaching the cherished goal of Truth, Love, and Freedom. These musings will give you a laugh, a smile, or perhaps just a tiny touch of the Presence we all may seek – the knowing that we are also a wildly quiet presence of God. This unique book offers you an exciting new way to approach those dilemmas of everyday life that bring so much stress and frustration. Do I love or hate? forgive or forget? trust or doubt? take the risk or play it safe? tell the truth or lie? be alone or be together? take control or surrender? fight or flee? 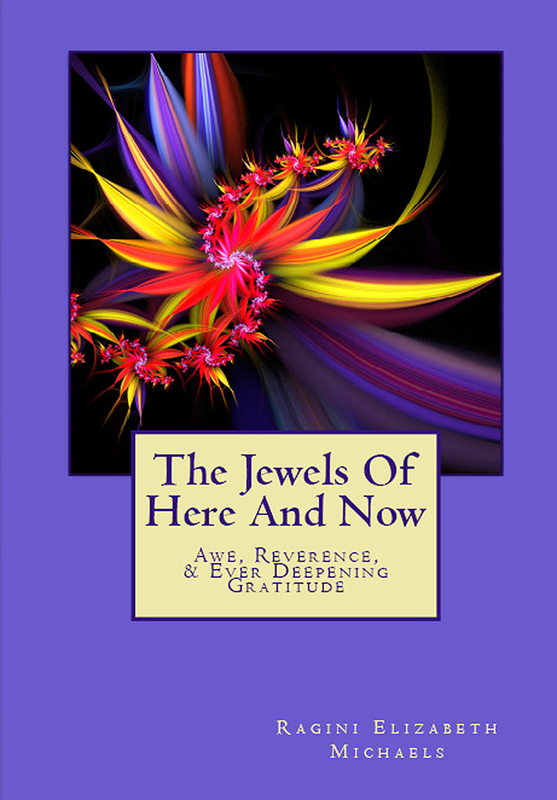 By opening the door to another dimension of peace and wisdom, this book shifts the world from black and white to color, and from flat to 3-D. A new avenue of exploration for how to relax with both the light and dark aspects of our human nature. Lions In Wait – a road to personal courage, offers a beautiful trance storybook filled with hundreds of poetic images evoked by elegant hypnotic narrative. As Nicholas struggles with confusions, frustrations, and fears, Annie, his beautiful teacher and guide, speaks to those deeper levels of his mind and soul, always leading him back to himself as the source of the answers he seeks. Lions speaks directly to the re-education of your unconscious mind and is dedicated to all who think they are a mouse, but can no longer put off discovering they are actually a Lion in wait. NOTE: Because these are hypnosis CD’s, please DO NOT LISTEN WHILE DRIVING as they are designed to alter your state of consciousness to a much deeper state of relaxation than you’re normally in. Otherwise, they can easily take you into sleep at night, and if you use them during the day, that’s fine also. You’ll just stay resting until you’re ready to move again. Also, these are not designed as a replacement for therapy or counseling, but rather as an adjunct to your commitment to personal growth and spiritual transformation. Hypnosis For Conscious Awakening meditative CD’s series supports the development of your unconscious capacity to awaken – to recognize and live peacefully with impermanence, paradox, and the unresolvable dilemmas at the root of human suffering. This is the first of the four CD’s comprising the series subtitled “relaxing with change” works to re-educate your unconscious mind to the presence of change and its hidden pattern of opposites. A powerful and soothing reminder that change is natural, and you can relax with this basic rhythm of life. The second CD in the series works to strengthen your unconscious mind’s awareness that balance is a process, rather than a position to achieve, freeing you to more easily experience balancing in motion and the positive value of imbalance. This CD supports your unconscious mind’s awareness of the natural presence of trust and knowing, and the positive role of doubt in strengthening your ability to trust yourself and the rhythms of life. This hypnosis CD supports your unconscious mind to recognize and remember the awe, wonder and mystery which lives and breathes us alive each day. Remembrance: Hypnosis To Heal The Heart & Soul support the development of your unconscious capacity to move through and beyond the experience and conditionings of your past–to remember and reconnect with your deepest inner wisdom. Answers Rest Within provides a beautiful and relaxing way to re-educate your unconscious mind to look within for the answers you seek. Provides gentle guidance for returning your awareness—again and again—back to the wisdom of your deepest self resting deep on the inside. Awareness Arising supports the ability of your unconscious mind to heighten your awareness in daily life as a powerful and effective aid for personal change. Supports the already existing ability of your unconscious mind to heighten your awareness. A powerful invitation to come to the moment—right here and now—and be present to whatever is unfolding. Beyond the Past guides your unconscious mind how to let go of what is no longer needed, keeping the learnings and freeing you to move beyond those conditionings of long ago. At the same time, your unconscious process will gather the learnings that will serve your highest and best interest—and free you to move beyond those conditionings of long ago. Healing Heart supports your unconscious mind’s ability to heal the wounds of the heart and to evoke the heart’s natural capacity to forgive, to accept, and to allow your innate ability to love to heal and flow once again. This years’ calendar highlights The Essential “Je Ne Sais Quoi”. Each month is graced by a beautiful photograph and a wondering of the heart and soul stirred by the image, and this year’s theme. This years’ calendar offers insight into the presence of that essential ‘something’ you can sense is there but can’t quite put your finger on. Each month is graced by a beautiful photograph and musings of the heart and soul stirred by the image, and this year’s theme. Feel free to download for yourself or for a friend. Keep on your computer or print out. Each month is designed to stand on its own and can be easily displayed to catch your eye. These vignettes of inquiry may parallel your own questions, desires, and challenges as your own journey unfolds. However you enjoy this year’s calendar, it is guaranteed to evoke your own insights and deepen your own understandings. Please enjoy.